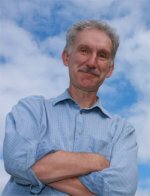 The National Oceanic and Atmospheric Administration (NOAA) is moving to a unified modeling system and they are tapping Pacific Northwest National Laboratory's Dr. Phillip Rasch to participate in the working group that will help them get there. The Unified Modeling Systems Architecture Working Group will help evolve the current NOAA Environmental Modeling System (NEMS) to better meet NOAA's needs, as well as the climate modeling community at large. NEMS is a shared, common modeling framework used for operational prediction models. The goal is to streamline the modeling tools and procedures used to analyze and forecast weather and climate. Rasch serves as the Chief Scientist for Climate Science at PNNL. A Laboratory and AAAS Fellow, he leads research teams that advance insight on modeling the climate. He is internationally known for his work in general circulation, atmospheric chemistry, and climate modeling and has contributed to scientific assessments for the World Meteorological Organization, NASA, and the Intergovernmental Panel on Climate Change (IPCC).